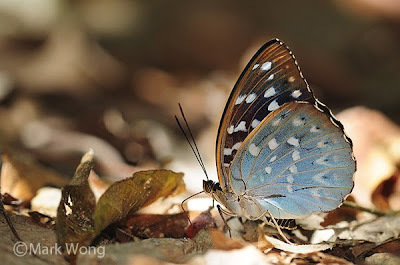 Thanks for the kind words, Yiming. 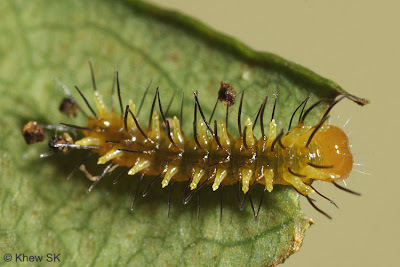 I must say that you have an excellent set of top-notch photos in your public galleries, which I just discovered after looking at your profile. 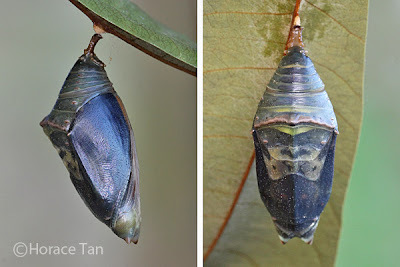 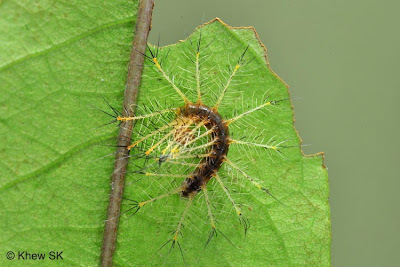 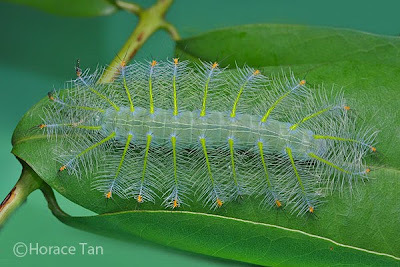 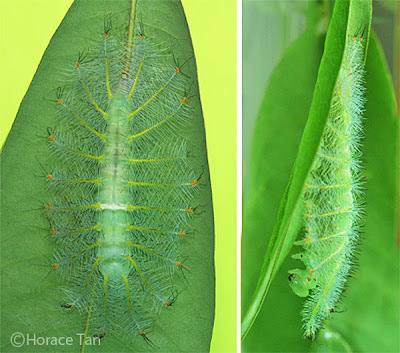 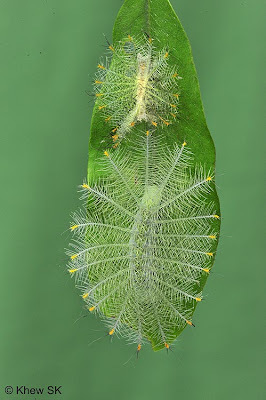 Caterpillars like this or the Malay Viscount had been called the Christmas Cat by some in the local community for it's resemblance to a Christmas Tree (most of us can't ID butterflies and their larvae well, so we give names based on whatever they looked like). 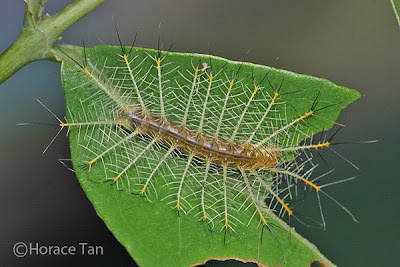 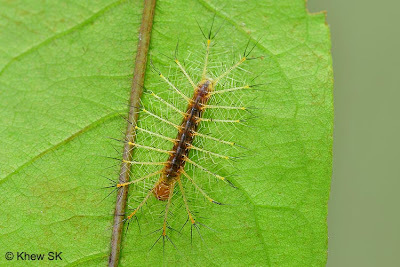 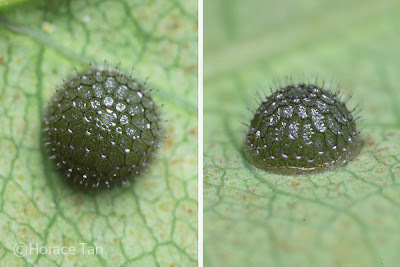 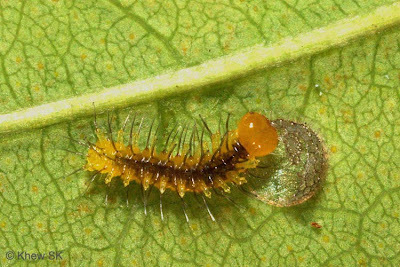 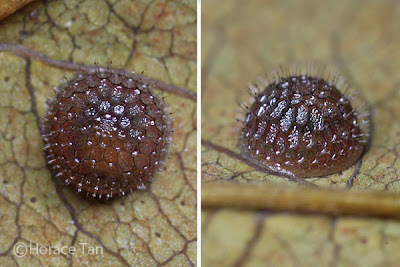 Thanks for the writeup, have shared this article with them after we saw and took shots of the larva yesterday. 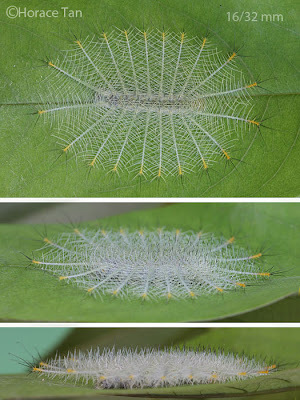 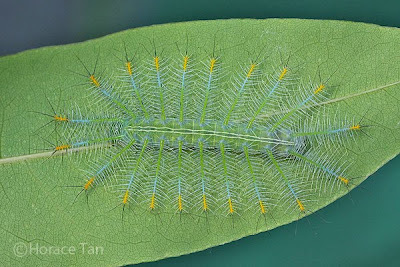 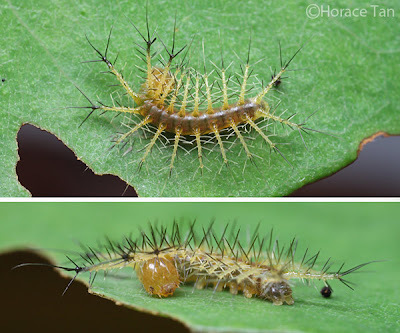 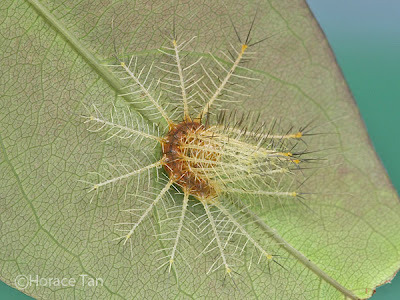 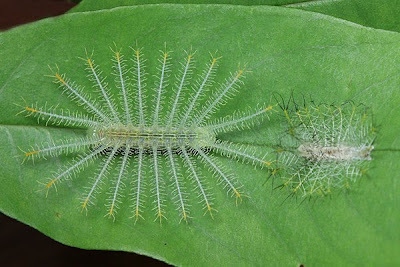 Indeed we do refer to these caterpillars as Christmas Trees as well. 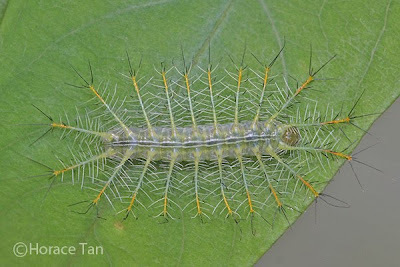 It is great that you and your friends have a real-life encounter with the beautiful Archduke larva. 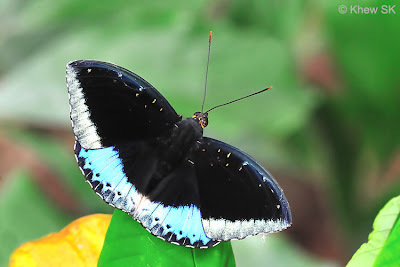 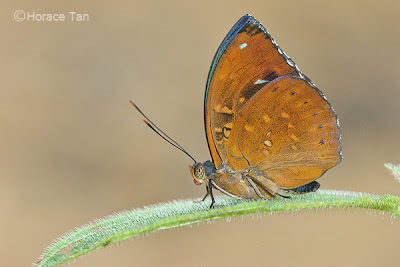 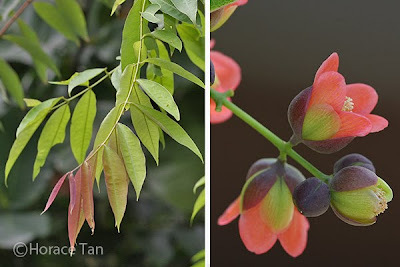 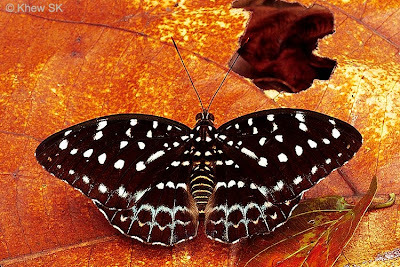 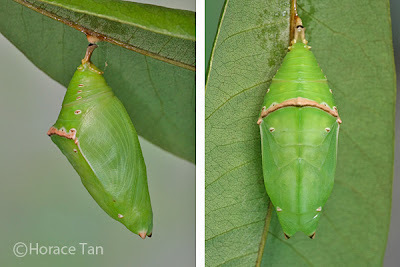 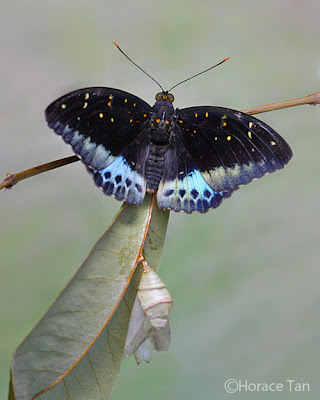 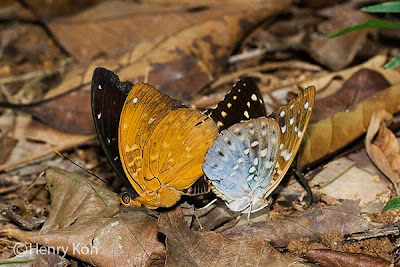 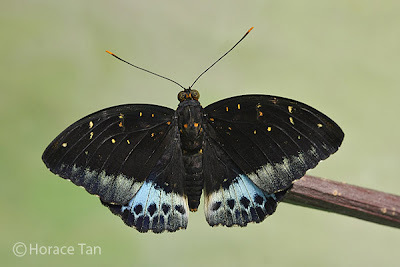 Keith, an expert on early stages of butterflies, has already replied in your blog artcle (that it is the Yellow Archduke, Lexias canescens).